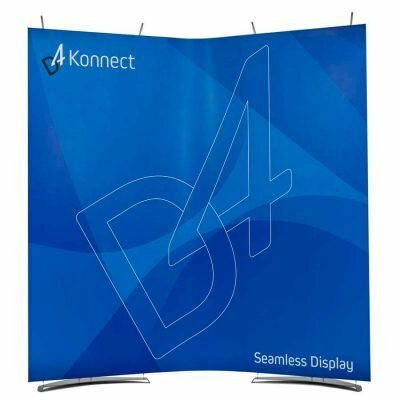 We magnetically join D4 banners together to create small pop up exhibition stands. Direct Konnect ( DK ) - Connect two units together directly to create a larger graphic panel. 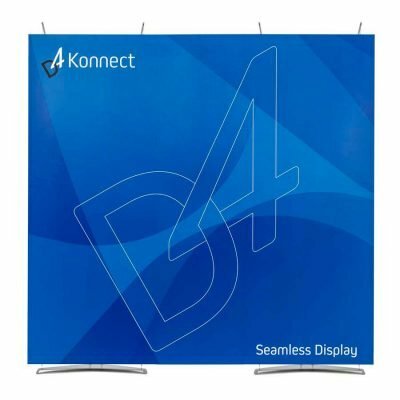 Flexi Konnect ( FK ) - Connect two units together with a flexible 55cm linking graphic. 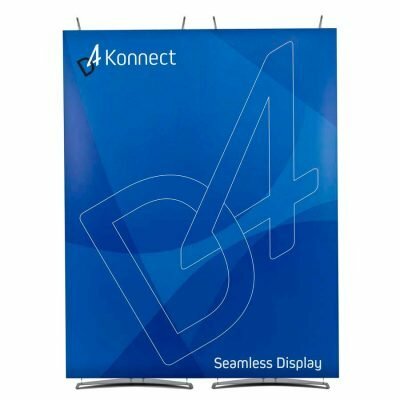 Rigid Konnect ( RK ) - Connect two units together with a larger rigid 70cm linking graphic.